Born in Sedaví, Valencia (1979). He began studying trombone with the Angel Cariñena and Salvador Tarrasó. His jazz formation initiated in Sedajazz with Francisco Angel Blanco “Latino”. 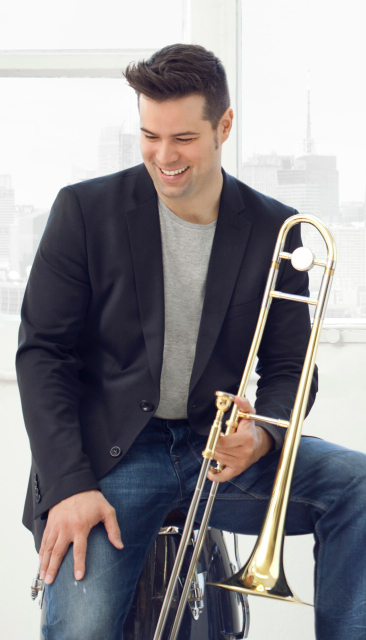 Subsequently, he received classes from Michael Philippe Mossman and the prestigious trombonist Conrad Herwig. He has taught at the Taller de Musics de Barcelona (2008 -2012), and ESEM (Escola Superior d’Estudis musicales Taller de Músics) (2010-2012). Prize from the “Asociació de Musics de Catalunya” 2003. His debut album “The Journey “ has been voted one of the best albums of 2013 by the American-Canadian magazine LatinJazzNet.